Conductix-Wampfler , specialists in power and data transfer systems, mobile electrification, and crane electrification solutions, offers high quality flexible cables and glands. These flexible cables and glands are available in a number of different models which are made of either PVC or Neoprene Rubber. 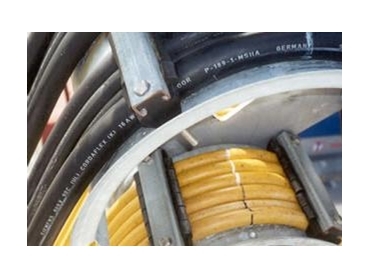 They offer round cables for cable reel, drag chain and other flexible applications. In addition, they offer plated brass and aluminium cable glands. Conductix-Wampfler offers everything that is needed to safely, reliably, and economically power moving equipment. They have a unique combination of product options and practical experience and they can assure the right solution, every time.